Complete fireplace cabinet units will include the mantle, fireplace and remote control. You have a selection on many different sizes to fit your needs in many wood type finishes. These units are great for any occasion and remember, it can be used anytime of year. What a GREAT Option. Just like a piece of furniture! 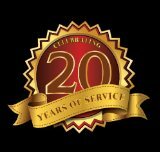 Delivery and set up are available upon request. Enjoy even more versatility with the sleek wall hanging style unit pictured here. Stainless finish add a surprising twist to any room in your home. 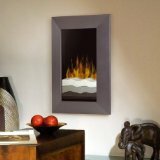 Like all of our electric units, the wall hanging style also provides a quiet source of area heat to your room. Available in vertical or horizontal flat screen. Come by the store and see for yourself. 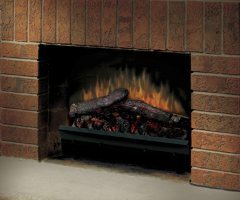 For clients that no longer wish to burn wood in their existing fireplace, the answer lies here! 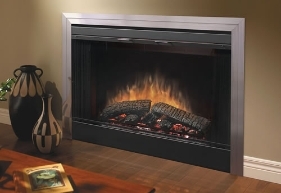 This electric insert pictured above will fit most fireplaces. It comes with a remote control, LED logs and it has a high or low heat setting. Its a great look without the mess of wood, it only cost pennies to operate and you can enjoy a "fire" year round with or without the heat! 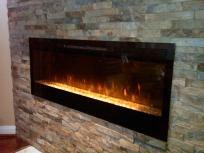 This is a great example of how versatile electric fireplaces have become. Shown here is the "built-in" version. It can be framed into your wall and hard wired. No venting required! The glass is cool to touch and you can get immediate heat when needed. The fan forced heater quietly provides instant warmth at the flick of your remote. It is available in 33", 39" and 45" as shown.